On the 23rd (Fri), get lost in a book at Pinacoteca Ambrosiana, go for a walk through I Navigli, and then take in the spiritual surroundings of Duomo di Milano. For photos, more things to do, reviews, and more tourist information, you can read our Milan travel itinerary planner. Dubai, United Arab Emirates to Milan is an approximately 9-hour flight. You can also do a combination of flight and train; or do a combination of shuttle and flight. The time zone changes from Gulf Standard Time (GST) to Central European Time (CET), which is usually a -3 hour difference. In September, Milan is colder than Dubai - with highs of 28°C and lows of 16°C. Finish your sightseeing early on the 23rd (Fri) so you can take a train to Verona. Kick off your visit on the 24th (Sat): take in the dramatic scenery at Parco Naturalistico delle Cascate-Family, look for gifts at Piacere Divino Enoteca E Vini Sfusi, then explore the historical opulence of Museo di Castelvecchio, then experience the emotional art of opera at Arena di Verona, and finally admire the landmark architecture of Casa di Giulietta. Get ready for a full day of sightseeing on the 25th (Sun): look for gifts at Cioccolateria Via Conventino, look for gifts at Baol Atelier Creativo, then wander the streets of Piazza delle Erbe, and finally kick back and relax at Jamaica Beach. For photos, other places to visit, more things to do, and other tourist information, read Verona online tour itinerary maker . You can take a train from Milan to Verona in 1.5 hours. Another option is to drive. In September in Verona, expect temperatures between 30°C during the day and 17°C at night. Finish your sightseeing early on the 25th (Sun) so you can drive to Venice. On the 26th (Mon), wander the streets of Cannaregio, then contemplate the waterfront views at Canal Grande, then admire the masterpieces at Peggy Guggenheim Collection, and finally take a stroll through Dorsoduro. Get ready for a full day of sightseeing on the next day: admire the landmark architecture of Basilica di San Marco, don't miss a visit to St. Mark's Square, take in the views from Ponte dei Sospiri, then admire the landmark architecture of Doge's Palace, then take in panoramic vistas at St Mark's Campanile, and finally stop by Artigianato d'Arte di Vianello Mauro. To see traveler tips, where to stay, reviews, and tourist information, use the Venice trip itinerary maker site . Getting from Verona to Venice by car takes about 1.5 hours. Other options: take a bus; or take a shuttle. September in Venice sees daily highs of 29°C and lows of 17°C at night. Cap off your sightseeing on the 27th (Tue) early enough to go by car to Bologna. Start off your visit on the 28th (Wed): relax and rejuvenate at Massaggio Californiano, learn about winemaking at Azienda Agricola Botti di Bovina Fabio, then see the interesting displays at MEF-Museo Enzo Ferrari, and finally do a tasting at Acetaia Villa San Donnino. Here are some ideas for day two: look for gifts at Crete - Piece Unique, take in the architecture and atmosphere at Basilica - Santuario di Santo Stefano, then look for gifts at Tamburini, then stop by La pentola del te, and finally get outside with Torre Prendiparte. To find reviews, where to stay, maps, and other tourist information, go to the Bologna trip planner . Drive from Venice to Bologna in 2 hours. Alternatively, you can take a train; or take a bus. In September, daily temperatures in Bologna can reach 30°C, while at night they dip to 17°C. Wrap up your sightseeing on the 29th (Thu) to allow time to drive to City of San Marino. On the 30th (Fri), take in the awesome beauty at Mount Titan, see the interesting displays at Museum of Torture, contemplate the long history of Piazza della Liberta, stop by La Saponeria Del Titano, then examine the collection at Museo di Stato, and finally step into the grandiose world of Guaita. Here are some ideas for day two: look for gifts at DI Sole E D'azzurro, contemplate the long history of Cesta Tower, see the interesting displays at Museo delle Curiosità - San Marino, examine the collection at Modern Weapons Museum, then get a sense of history and politics at Palazzo Pubblico, and finally take in the architecture and atmosphere at Basilica del Santo Marino. To find reviews, where to stay, photos, and more tourist information, use the City of San Marino online journey planner . Traveling by car from Bologna to City of San Marino takes 1.5 hours. Alternatively, you can do a combination of train and bus; or take a bus. Expect slightly colder weather when traveling from Bologna in September: highs in City of San Marino hover around 26°C, while lows dip to 17°C. Finish your sightseeing early on the 1st (Sat) to allow enough time to drive to Florence. Museum-lovers will get to explore Pitti Palace and Uffizi Galleries. Your cultural itinerary includes sights like Academy Of Florence Art Gallery and Cathedral of Santa Maria del Fiore. There's much more to do: get great views at Piazzale Michelangelo, stop by Janniderma, take in nature's colorful creations at The Boboli Gardens, and take in panoramic vistas at Campanile di Giotto. For reviews, more things to do, maps, and tourist information, refer to the Florence trip planning website . You can drive from City of San Marino to Florence in 3 hours. Other options are to do a combination of bus and train; or do a combination of bus and shuttle. Traveling from City of San Marino in October, expect nights in Florence to be about the same, around 14°C, while days are somewhat warmer, around 25°C. 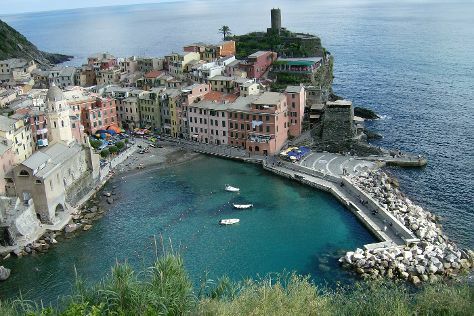 Finish up your sightseeing early on the 4th (Tue) so you can go by car to Cinque Terre. Start off your visit on the 5th (Wed): enjoy the sand and surf at Spiaggia di Fegina, then take in the architecture and atmosphere at Convento dei Cappuccini e Chiesa di San Francesco, then enjoy the sand and surf at Levanto Beach, and finally appreciate the extensive heritage of Cinque Terre Trails. Keep things going the next day: stroll through Footpath Monterosso - Vernazza, stop by Cantina du Sciacchetra, then learn about all things military at Museo Tecnico Navale della Spezia, and finally see the interesting displays at Museo Civico Amedeo Lia. For reviews, ratings, maps, and more tourist information, read our Cinque Terre driving holiday tool . Getting from Florence to Cinque Terre by car takes about 2.5 hours. Other options: take a train. In October, plan for daily highs up to 25°C, and evening lows to 14°C. Wrap up your sightseeing on the 6th (Thu) to allow time to take a train to Pisa. 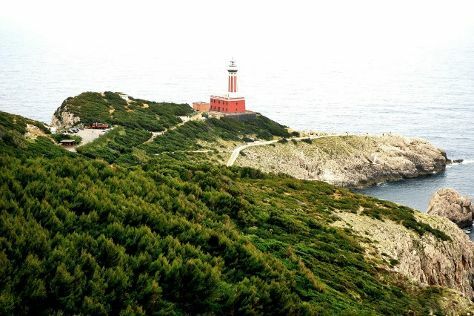 Start off your visit on the 7th (Fri): enjoy the sand and surf at Bagno Internazionale, then kick back and relax at Bagno Sirena del Sud, and then enjoy breathtaking views from Leaning Tower of Pisa. Keep things going the next day: contemplate in the serene atmosphere at Battistero, look for gifts at La Boutique dei Golosi, stop by Zazzi, then steep yourself in history at St Martin Cathedral, and finally don't miss a visit to Le mura di Lucca. To see other places to visit, more things to do, and other tourist information, use the Pisa itinerary planner. Getting from Cinque Terre to Pisa by train takes about 2 hours. Other options: drive; or take a bus. In October, daytime highs in Pisa are 25°C, while nighttime lows are 14°C. Wrap up your sightseeing on the 8th (Sat) to allow time to drive to Siena. Start off your visit on the 9th (Sun): appreciate the extensive heritage of San Gimignano 1300, awaken your taste buds at some of the top wineries in the area, and then stop by La Fabbrica delle Candele. On the 10th (Mon), you'll have a packed day of sightseeing: contemplate the long history of Battistero di San Giovanni, get a sense of history and politics at Palazzo Pubblico and Museo Civico, then pause for some serene contemplation at Siena Cathedral, then expand your horizons at Take Me Out in Tuscany, and finally view the masterpieces at Bianco e Nero di Sonia Staccioli . To find other places to visit, traveler tips, more things to do, and other tourist information, refer to the Siena itinerary planner. Traveling by car from Pisa to Siena takes 2 hours. Alternatively, you can take a train; or take a bus. Expect a daytime high around 26°C in October, and nighttime lows around 15°C. Finish up your sightseeing early on the 10th (Mon) so you can go by car to Assisi. Start off your visit on the 11th (Tue): explore the world behind art at Galleria Nazionale dell'Umbria, examine the collection at Museo-Laboratorio di Tessitura a Mano Giuditta Brozzetti, then take in the architecture and atmosphere at Basilica inferiore di San Francesco d'Assisi, then look for gifts at Assisi Jewels, and finally get maximum retail therapy with Terra Umbra Antica. Keep things going the next day: examine the collection at Mostra Permanente degli Antichi Mestieri e della Civilta Contadina and then explore the historical opulence of Rocca Maggiore. To find where to stay, traveler tips, maps, and other tourist information, refer to the Assisi vacation planning site . Traveling by car from Siena to Assisi takes 2 hours. Alternatively, you can take a bus; or take a train. Traveling from Siena in October, you can expect nighttime temperatures to be slightly colder in Assisi, with lows of 12°C. Finish your sightseeing early on the 12th (Wed) so you can drive to Rome. Your inner history buff will appreciate Palatine Hill and Villa d'Este. 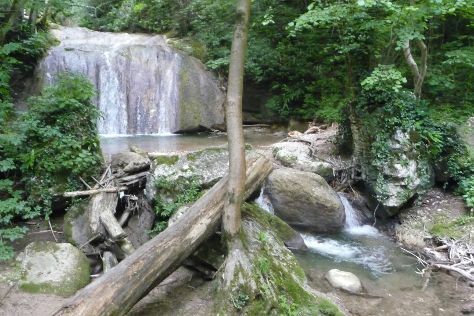 Visiting Colle del Gianicolo and Stabilimento Balneare Amerigo will get you outdoors. Next up on the itinerary: delve into the distant past at Colosseum, stop by Paciotti Salumeria, explore the world behind art at Vatican Museums, and make a trip to Pantheon. To find maps, reviews, traveler tips, and more tourist information, refer to the Rome travel planner. Traveling by car from Assisi to Rome takes 2.5 hours. Alternatively, you can take a train; or take a bus. October in Rome sees daily highs of 26°C and lows of 15°C at night. Cap off your sightseeing on the 16th (Sun) early enough to catch the train to Naples. Naples is the capital of the Italian region Campania and the third-largest municipality in Italy after Rome and Milan. Start off your visit on the 17th (Mon): examine the collection at National Archaeological Museum of Naples, then admire the masterpieces at Museo Nazionale di Capodimonte, then pause for some serene contemplation at Cloister of Santa Chiara, and finally make a trip to Pompeii Archaeological Park. Get ready for a full day of sightseeing on the next day: kick back and relax at Lido Onde Blu, make a trip to Spaccanapoli, look for gifts at Face Shop, then stop by Salumeria Rafele o' Lattaro, and finally stop by Naples Oblige. To see ratings, where to stay, maps, and more tourist information, read our Naples trip tool . You can take a train from Rome to Naples in 1.5 hours. Alternatively, you can drive; or take a bus. Expect a daytime high around 27°C in October, and nighttime lows around 17°C. Finish up your sightseeing early on the 18th (Tue) so you can catch the ferry to Capri. On the 19th (Wed), look for gifts at Ceramiche Tavassi, then tour the pleasant surroundings at Fortini Coastal Walk, then take a memorable ride with Monte Solaro, and finally get engrossed in the history at Villa San Michele. On your second day here, contemplate the waterfront views at Marina Piccola, make a trip to Piazza Umberto I, then look for gifts at Carthusia, then don't miss a visit to Chiesa di santo Stefano, and finally look for gifts at Eco Capri. For where to stay, other places to visit, more things to do, and more tourist information, refer to the Capri trip itinerary planning website . You can ride a ferry from Naples to Capri in an hour. Another option is to do a combination of subway and ferry. Expect a daytime high around 26°C in October, and nighttime lows around 20°C. Wrap up your sightseeing by early afternoon on the 20th (Thu) to allow time for travel to Melfi. Melfi is a town and comune in the Vulture area of the province of Potenza, in the Southern Italian region of Basilicata.GeographyOn a hill at the foot of Mount Vulture, Melfi is the most important town in Basilicata's Vulture, both as a tourist resort and economic centre.HistoryEarly and Middle Age historyInhabited by the Daunians and Lucanians, under the Romans it was included in the area of the colony of Venusia, founded in 291 BC. Start off your visit on the 21st (Fri): examine the collection at Museo Archeologico Nazionale del Melfese Massimo Pallottino, step into the grandiose world of Castle, then take in the architecture and atmosphere at Saint Michelès Abbey, and finally get impressive views of Monte Vulture. Get ready for a full day of sightseeing on the next day: contemplate the long history of Castello Venosa, examine the collection at Museo Archeologico Nazionale, then take in the architecture and atmosphere at Acerenza Cathedral, and finally do a tasting at Cantine del Notaio. To see photos, maps, traveler tips, and tourist information, go to the Melfi trip planner . The Route module can help you plan travel from Capri to Melfi. Expect little chillier evenings in Melfi when traveling from Capri in October, with lows around 14°C. Finish your sightseeing early on the 22nd (Sat) so you can drive to Bari. 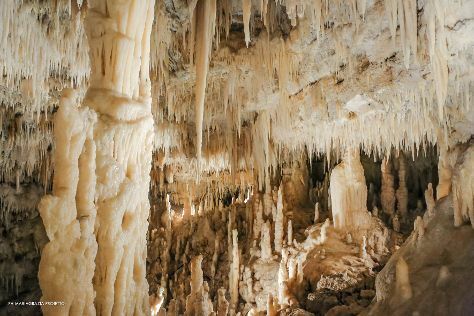 On the 23rd (Sun), pause for some serene contemplation at Cattedrale di Trani and then explore the fascinating underground world of Grotte di Castellana. On the next day, examine the collection at Museo del Confetto Mucci Giovanni, then tour the pleasant surroundings at Coco Beach Club, and then get to know the fascinating history of Lungomare e Murat. To see reviews, photos, ratings, and tourist information, go to the Bari trip itinerary maker website . Drive from Melfi to Bari in 2 hours. In October in Bari, expect temperatures between 26°C during the day and 15°C at night. Finish your sightseeing early on the 24th (Mon) to allow enough time to travel back home.